Now there’s a second pending challenge of the ballot title and language for the May 19 bond election on Albany’s plans for a new police headquarters and main fire station. Tom Cordier filed the first one in court Monday and followed up with an amended version Tuesday. Fellow city resident Gordon Shadle filed the second challenge on Tuesday. One question is whether Monday or Tuesday was the deadline for filing such actions. Citizens are to have seven business days to petition a court to review a ballot title after it is published. The city said the seven days ended at 5 p.m. Monday. 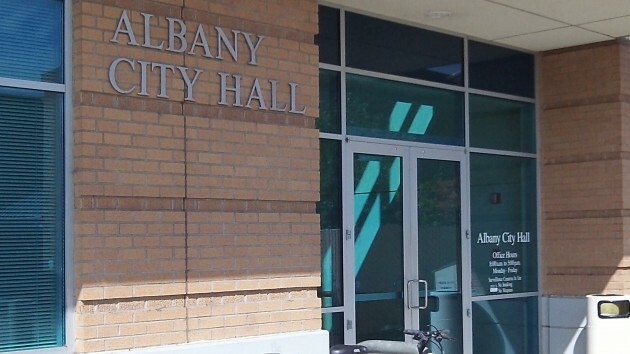 Shadle, in a formal complaint filed Monday with the state Elections Division in Salem, charged the city had violated election law by shorting petitioners one day. The reason: Presidents Day, Feb. 16, did not count as a business day because it’s a holiday and the courts were closed. City Hall, however, was open as usual and city employees had a usual workday. Shadle also argues that the ballot question is not really a question because it also adds a sentence of explanation about the effect of the bond issue on tax rates. And he objects that the tax effect is given as an estimated rate rather than a tax amount on selected properties with certain values. The latter, he says, would give people a better idea of the effect on their tax bills. Circuit Judge Dan Murphy has taken both cases and scheduled an “early review conference” for 9 a.m. March 3 in Courtroom 1 of the Linn County Courthouse. Shadle understands that March 10 is the tentative deadline for resolving both cases.